By this point, we’ve done a couple of smaller rides and as expected, we were hungry for more. We wanted to go for a ride that’s long enough for us to stay overnight at a place before we reach our destination the next day and that came in the form of BOBMC. What’s that you may ask. 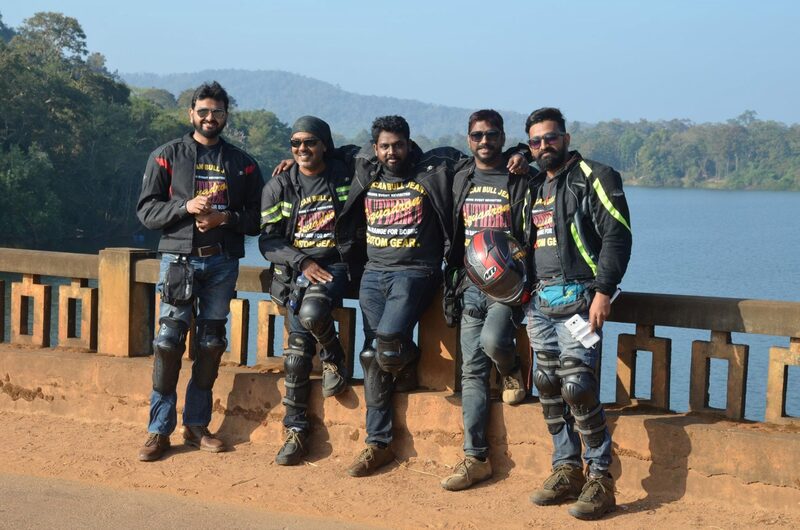 That’s the abbreviation for Brotherhood of Bulleteers Motorcycling Consortium. It’s an annual gathering of RE riders to commemorate the spirit of motorcycling and it’s a 2-day fest. They even have a wiki page. 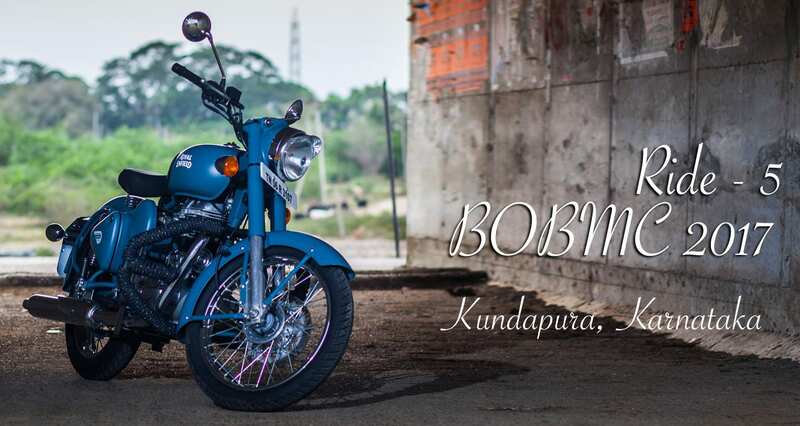 The Rolling Thunder Motorcycle Club (RTMC) of Bangalore hosted the 17th BOBMC at Kundapur, on the coastal belt of Karnataka. It was our first ride to a riding event and obviously, we were excited about it. From our beloved seniors, we heard a lot of stories on what happens at the event. Apart from the food and music, there were some unwritten customs such as pillow fights at night. And when I say pillow fights, it’s not what you think it is. It’s pounding an unsuspecting (also, sleeping) victim, mercilessly. This won’t be someone they already know and there have apparently been cases where some had bled as well! And what impressed me the most is how the clubs organise such events and on top of that pressure, make sure that the environment is completely drug-free. So, naturally, our expectations were sky high. Once again, it wasn’t a point to point ride. 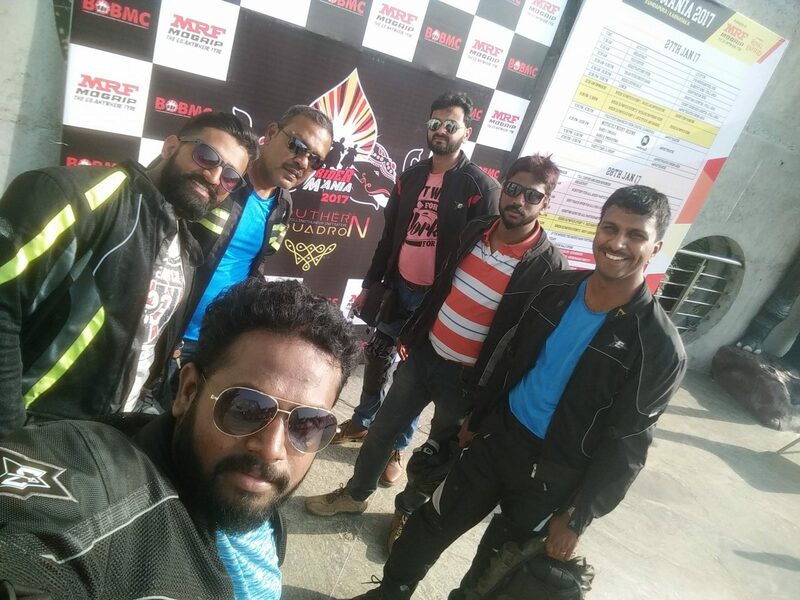 We started off from Chennai early as always and regrouped at Maduravoiyal flyover before leaving the city. Passing Bangalore, we stopped by at Hassan for the night. The next day morning, we hit the road through the scenic views of Chickmangalur before reaching the destination, Kundapura by mid day. I started off from Chennai at around 7250 and when I got back, my odometer read 8900. The total distance I covered in this ride was approximately 1673 kms. Looks like I wasn’t done with shopping :P. This time, I got something on the way actually. 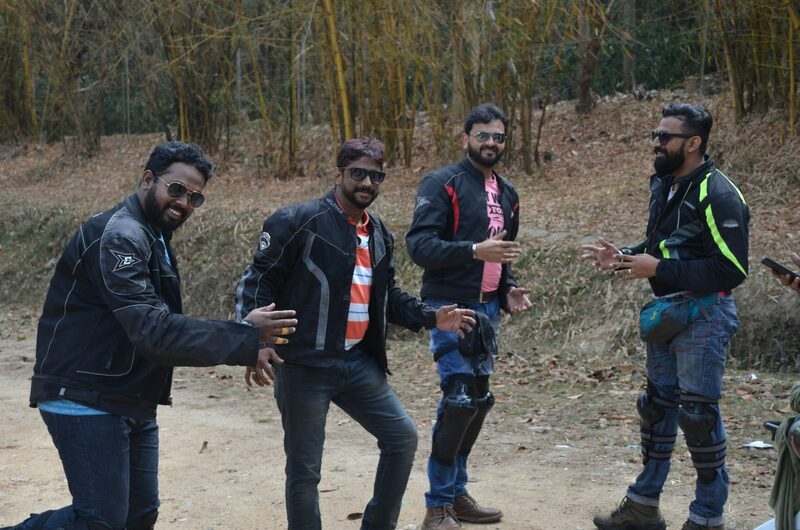 One of my team members wanted to buy a riding trouser, so we took a detour while riding and got inside Bangalore. It was a plan we had already had and I accompanied him as, apart from a tank bag, I also had a backpack which I had carried all the way from Chennai – knowing that I’ll get something to tie it up to the back seat. 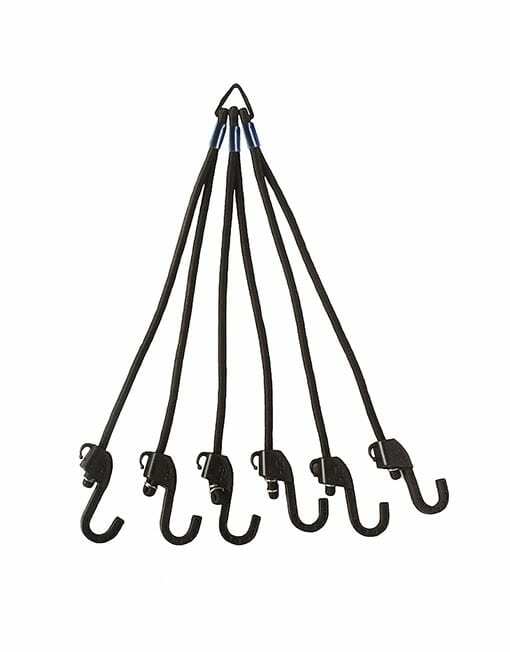 That’s when I came across MotoTech’s Hexapod Bungee Tie-down System – which is a complicated term for a 6-way bungee cord. Though it sounds pretty simple, as someone who uses this often, I can very much say that it’s one of the best products I’ve purchased. At Rs. 499, it’s a really good investment if you’re someone who doesn’t want to spend a huge chunk of money on a claw bag. Ah, this section is gonna be big. We didn’t start before the sunrise because, well, let’s not get there. 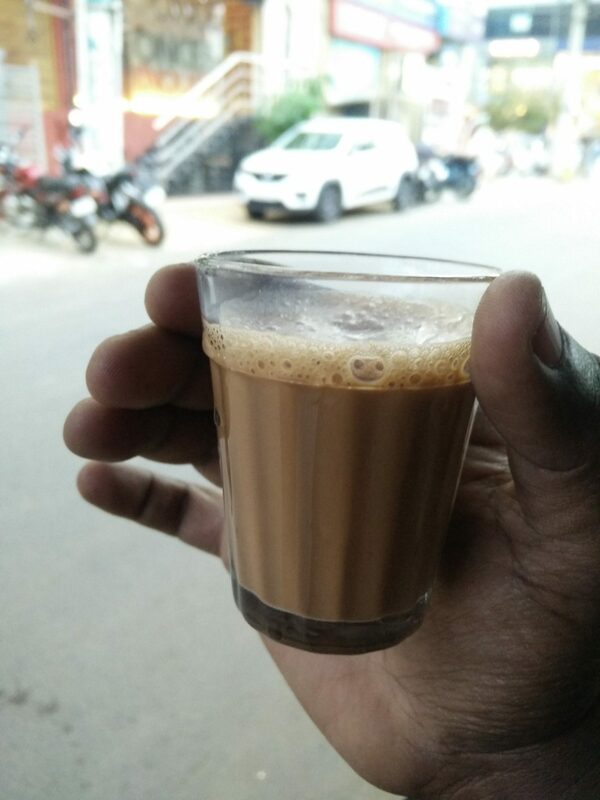 Halfway through our trip to Bangalore, we stopped by at a village for a quick breakfast. Then just two of us headed inside the Bangalore city while the rest were told to go on with the ride at a slower pace. We went into the city to get the above-mentioned accessories. And of course, I couldn’t resist a nice cup of tea! Back on the road, we were welcomed by some light showers and we ended up riding without stopping. We reached Hassan by late evening, completely drenched with soggy socks and jeans. 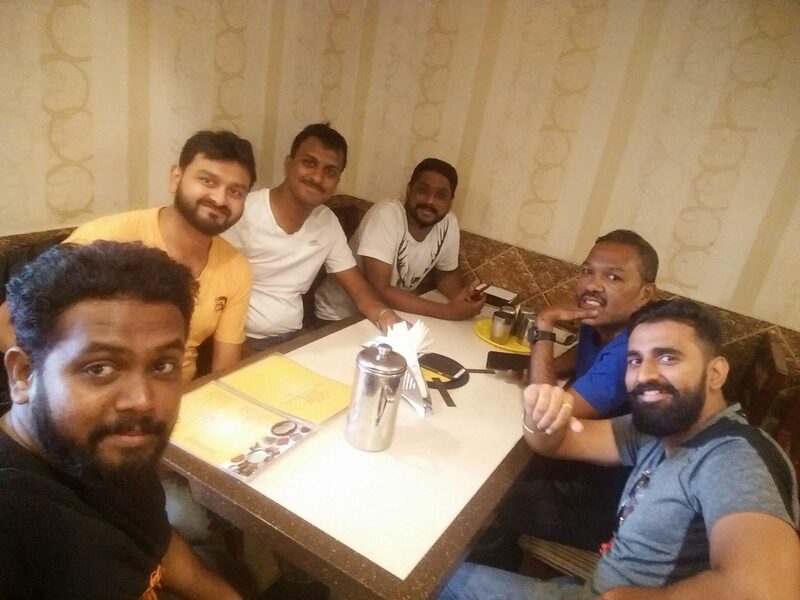 We had planned it in such a way that we had already booked a few rooms at a decent hotel named Suvarna Regency. There’s something fun about rolling out of damp clothes. Placing newspapers in our shoes and socks to get them as dry as possible, we went to bed – which lasted only about 6 hours. Of course, we couldn’t keep the banter down and we took our sweet time to reach the other coastal side of the country. Why? Because we had time and we decided to spend it on the way taking pictures. And oh, the above photo is us doing ‘actions’ as those who doubled as the photographers were bored of taking still photos. And considering we’re going thru Chickmangalur which is filled up with coffee estates, I wasn’t going to go anywhere without a nice cuppa! Somewhere en route, we stopped by at one of the estates which also had a coffee for fresh cups as well as packed powders. We stocked up on the packets to enjoy them back home and also got a hot cup of the golden liquid. And as per the plan, we reached the UVA Meridian Bay in Kundapura and boy, were we in for a treat. After getting parking stickers on our bikes and parking it at the respective bays, we had time for a quick customary selfie. Post the other paperwork we just let our bodies get stunned at the entrance mayhem created by other riding clubs. Some were dressed in uniforms, others were shouting their club names, some doing bike stunts while others were coming up with intricate formations right at the facade of the property. It was quite a sight to behold and with that, we retired to our respective accommodation spots to let go of our luggage. The property is split into tents, dormitory set up, hostel set up and hotel accommodation. Based on the advice of veterans, I chose the dorm and that means being under the same roof as about 100 other riders. I had to tuck in my stuffs below the bed and I didn’t waste time in changing so that I could head out to see what’s in store. The two-day event had everything we expected and much more. On the first evening, we got to meet some legendary riders and the ones above are those who took their bullets to the extreme when they went on the road towards London from India. It’s a challenge even in today’s standards, so imagine doing it decades before where they had to rely on paper maps rather than state-of-the-art GPS. They didn’t even have the right safely gears but they made it and are alive today to inspire more like us. 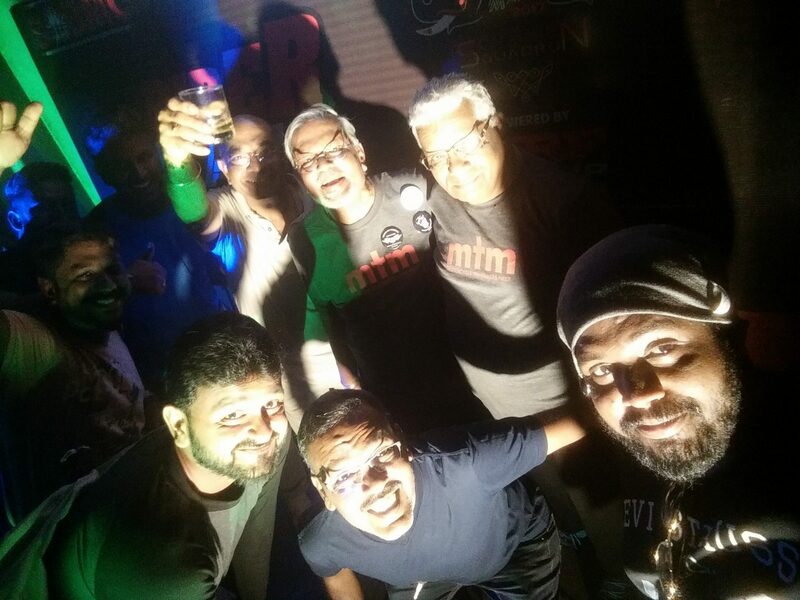 The night was filled with drinks, food and music with nothing being below standard. We partied through the night before getting back to our beds tired as ever. While I hoped that was enough fun for the day, a part of me was expecting something and thankfully, it happened. That’s right, the pillow fights happened a few hours – when the dimmed lights were turned back on by a bunch of guys who went around smacking victims. It was hilarious and I was glad that I was just a mere spectator :D. The next day morning, we got to see the events arranged by the riding clubs and there were quite an experience too! Unsurprisingly, the second evening too didn’t disappoint us. We got the same treatment as the night before and this time, they also announced where the next BOBMC event was happening. It was yet another tiring day but we went to bed early as we planned an early start. The next day, we started at 4 am and it was quite a foggy start. The above video was shot at Tirthahalli on our way back home and I can tell you frankly that it was foggier than this early that day. 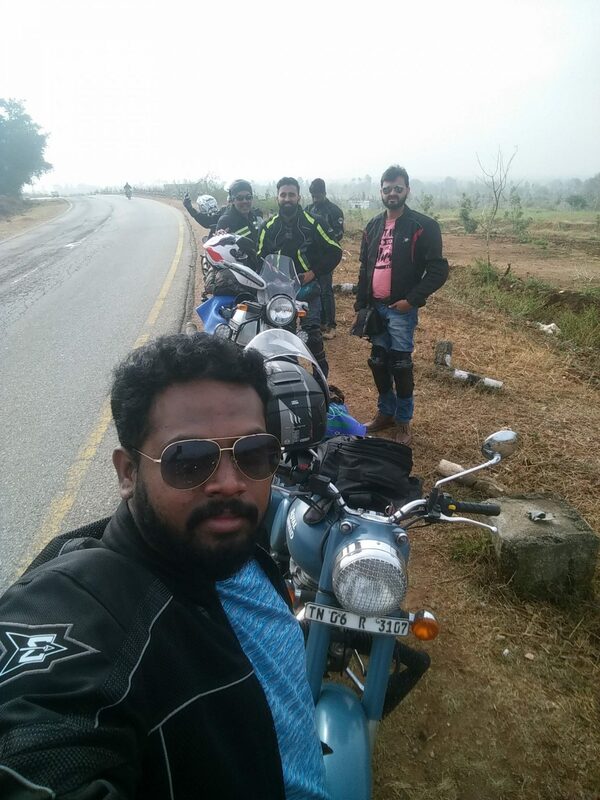 We decided to reach Chennai on the same day without a night stay, so it was quite a tiring day. But we, for the first time, were wearing the same tee and it was something we felt that we earned for covering those many kilometres of tarmac. So it was an equally enjoyable experience back to town and of course, we stopped at certain places to take more pictures. Though we didn’t speak it out, we all knew that we’ve gotten addicted to this and as expected, it wasn’t the last time we got back on the saddles!